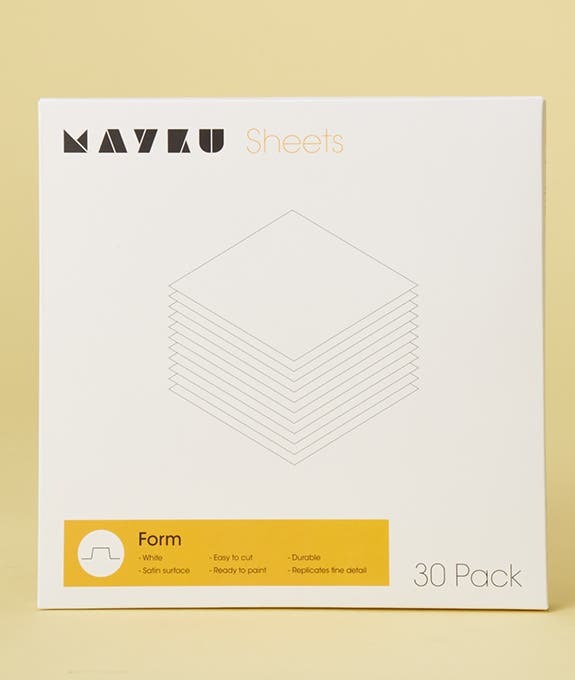 Mayku Form Sheets are pre-cut specially for your FormBox. They are opaque white and exceptionally durable. The material is HIPS (high-impact polystyrene), a rigid thermoplastic that can be sewn, guillotined and engineered in a variety of ways. The surface is satin with a smooth finish. The material is fully recyclable. 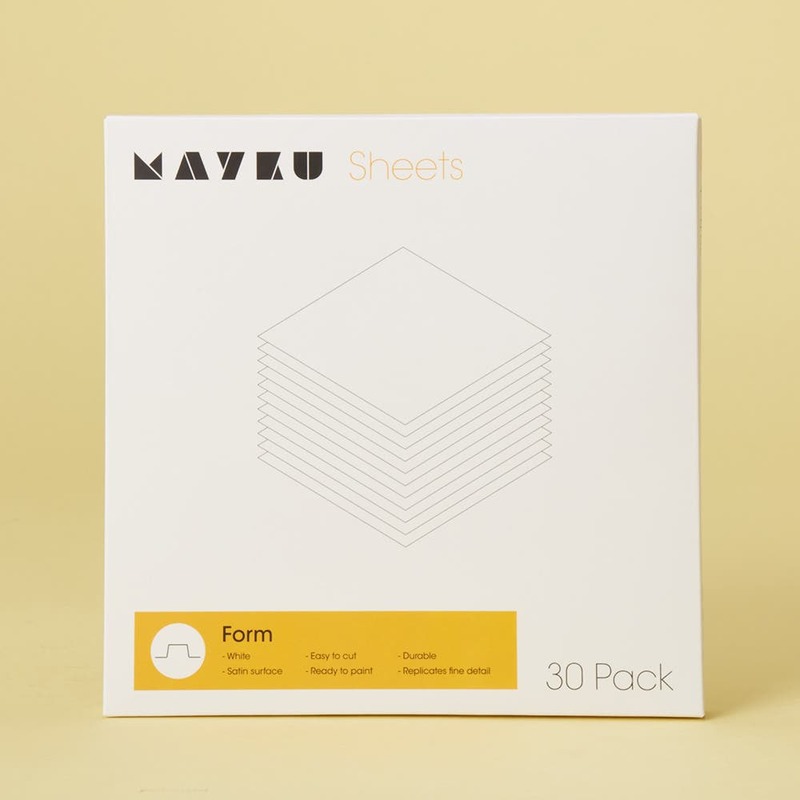 The sheets are 0.4mm in thickness, which is optimal for the FormBox. This is a perfect thickness for capturing fine detail while retaining a high level of strength. HIPS has excellent formability. It is the best choice for crafting and prototyping. One of the most desirable properties of HIPS is its suitability for form-fill-seal. This is used to create packaging systems.